All About Real Estate is proud to present to the market this ground level 3-bedroom home, vacant and ready to move into. Set in the Northern Suburbs close to Casuarina, the Royal Darwin Hospital and Charles Darwin University, this house has easy access to all of your everyday amenities and great schooling options for the kids as well. 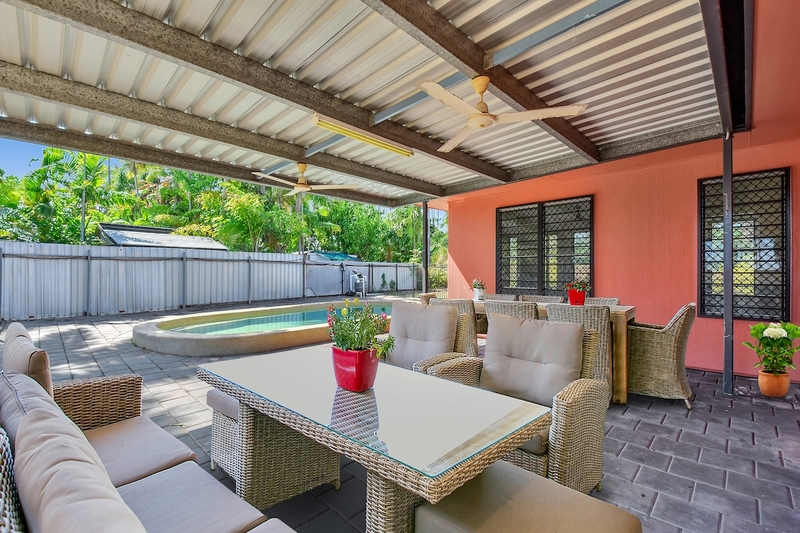 – Verandah is the ideal space to host a BBQ or entertain with friends. At street level the home has secure fencing with a gorgeous bougainvillea creeping along the fencing in full bloom. Double gated entryway leads through to a paved driveway lined with low formal hedging and carport parking for 2 beside the home. Inside is a spacious free flowing design which starts with the large living room with tiled flooring and A/C and flows through to the dining room and kitchen beyond. The kitchen includes wrap around counters along with pantry and overhead storage plus has access to the internal laundry room with additional storage space. 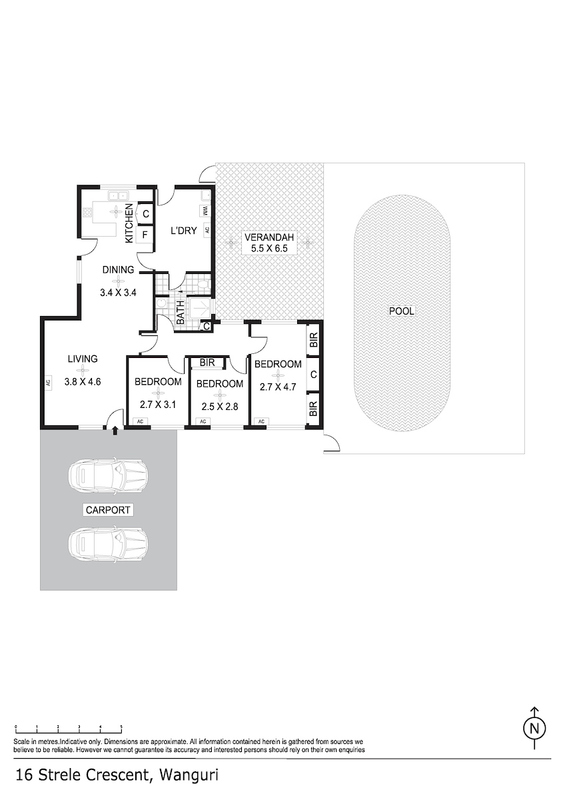 All the three bedrooms are well sized and clustered together making it ideal for the young family dynamics. Each room has tiled flooring and large bays of louvered windows plus A/C. Two rooms include generous built in robes. At the back of the home is a large entertaining verandah that overlooks in the inground swimming pool with secure fencing. Easy care lawns and barely there gardens are perfect for those who don’t want to spend hours maintaining them – or for the green thumb ready to start an oasis. The home is vacant and ready to move into, put your stamp on it and take it from house to home.